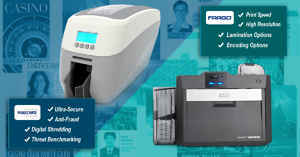 Home » IDSecurityOnline Blog » Card Printers » How do I choose the right ID card printer? If you are planning to print on one side of a card, choose a single-sided ID card printer. Compact and easy-to-use, single-sided card printers are perfect to print basic visual IDs. 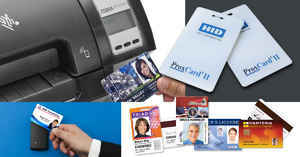 Print your logo, the cardholder�s name and picture, and even a barcode. If you need to print on both sides, go for a duplex ID card printer.Duplex � or dual-sided � printers will automatically flip your cards to print on both sides in one pass. This option allows you to include more information to your cards such as a schedule for student IDs or contact information for membership cards. Will your card printer be connected to a network? Card printers come standard with a USB interface to connect your printer to your computer. However, if several computers need to access your card printer, you will need Ethernet connectivity. Some manufacturers offer USB and Ethernet as standard but some don�t, so make sure to select a card printer with Ethernet if needed. Do you need to store data on your cards? 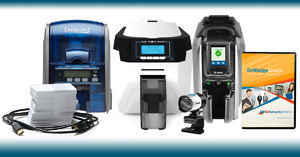 If the answer is yes, you will have to choose a printer with the right encoder. Magnetic cards: widely used for access control or time & attendance, magnetic encoding is an affordable way to create secure badges. Smart cards: if you need extra security or need to store more data into your cards, go with a printer with smart card encoder. If crowd control is an issue, RFID cards would definitely add convenience to your access control process. Entry-level printers are built to print up to a few hundred cards a year. 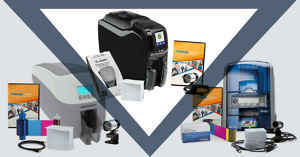 If the amount of cards that you need to print is much higher, look for card printers that are designed for high volumes. A key component is the card feeder: when entry-level printers offer manual feeding or a 50-card input hopper, high-volume printers can include a feeder with a capacity of 500 cards! To reduce the risk of counterfeiting or tampering, go with laminated cards. Adding a clear or custom layer of protection to your cards will help you create highly-secure badges. 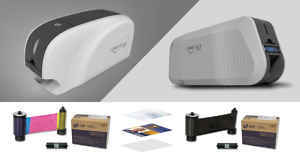 Laminating card printers offer lamination on one side or both sides of the cards. If you have questions, give us a call at 1-800-897-7024 for immediate assistance.